I have been keeping reading lists since 2000. I think it's easier to read the big historical sagas when there are no young children in the house! They really shorten one's reading time. I agree, cats are easier than children when it comes to finding reading time! My problem has been working full-time rather than having children. 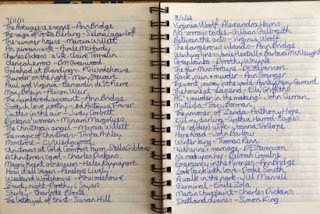 And many of my library customers carry notebooks listing the books they've read. It may seem like such an insignificant thing to some but I think it would make fascinating reading in itself for a descendant at some point. You have no faith in me at all, have you? You're probably right, I may have to write a confession post before too long. I even felt I was doing historical research looking back through my own lists, let alone someone else's! I am commenting here for the first time to say thank you (I think!) for introducing me to Greyladies. I hadn't heard of them and I just checked out their website. Oh my. So many books I want. I'm glad you've discovered Greyladies, Jennifer. They do have many tempting titles. Don't blame me when the credit card maxes out! If you're in the US, Anglophile Books have many Greyladies titles & the postage would be cheaper. Hello, Lyn. I'm sitting here trying to decide what book(s) to write about now, and you've set me thinking of book lists! How I wish I had started keeping lists of books read earlier than I have, but began noting them all around 1994, and I think it's a very good thing to do. 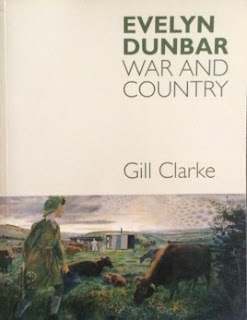 Thank you for mentioning Greyladies, as I would love to read more D.L. Stevenson, and it's great that she is being republished. As for your two books to make 3000, chances are that more than two will cross your path before the year is up! I feel you may be right about the 2 books, I may be making a confession about that quite soon. 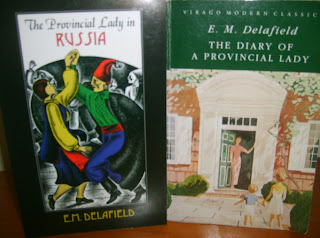 Greyladies have lots of interesting titles & Sourcebooks in the US have been reprinting DES as well. I like Library Thing although it does lead to these silly challenges I set myself! Still, I'm a librarian & a detail person so I just can't help myself. Don't tempt me with the Excel idea. 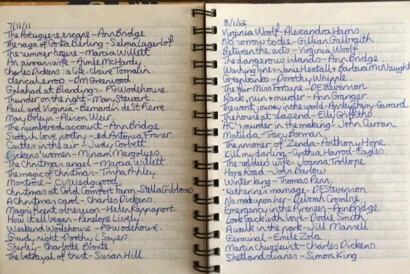 It would take me a very long time to enter all my lists onto it although I would then know exactly how many times I'd read Jane Eyre... Maybe that's a retirement project. For 8 years, up until about a year ago, I kept quite detailed reading journals (separate from the blog), making notes on every book I read. It's a wonderful record of what I was reading and feeling and I love looking back through these journals. It's a practice I want to return to but I seem to lack the discipline lately (ironically, I'm reading less than ever before - well, perhaps not ironically since I'm working and studying more than ever before too). And yay for Greyladies' upcoming publication of Five Windows! It's still months away but I get very excited whenever I think about it. It will be so nice to recommend it to people and know they can easily track down a copy. 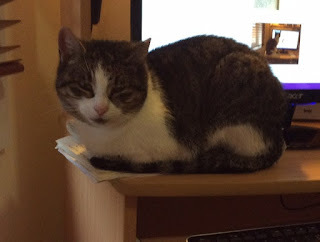 I started the blog to be a reading diary but other things - mostly cats & general rambling - found their way in as well. Life does tend to get in the way of reading, doesn't it? I'm looking forward to Five Windows, one temptation I'll be giving in to. The first book on my list, Tess of the D'Ubervilles, is the only one listed for 1966. When I started my list, I wrote short synopses on 3 x 5 cards. Somewhere along the line, I typed a list of the year's books read and kept them in a 3-ring binder. I still do both, but recently, I entered them all in a layout I created in Filemaker. I can now search by title, author, or date read. I know it's overkill, but I like keeping track. Unfortunately, I didn't always write the date I read the book on the 3 x 5 card, and I know there are lots of books that I didn't write a card for. For a long, long time, though, probably since the 1980s, I've kept very accurate records. We're in Boston at the moment, but our petsitter just e-mailed me that everything is fine and she can't stop petting Turtle because she's so soft! Turtle will be especially obnoxious when we get home! You'll have a lot to live up to when you get home! Constant patting will be expected & who cares about the rest of your life? I am feeling tempted by the idea of a spreadsheet with everything on it so I could see how many times I've read favourite books. It would be a mammoth task though - 37 years of lists... Still, I put all my books on Library Thing so it's not beyond me. I threw out years of reading lists when I realised that there were so many books I remembered nothing about, but I regret it now. I'm delighted that Greyladies are picking what I consider to be the right D E Stevenson novels to reissue now, and my first copy of The Scribbler (which arrived yesterday) references lots of interesting out of print titles that I hope they will send back into the world before too long. I'm glad I kept my lists, it's lovely to look back through them. Yes, any DES reprints are a wonderful idea. Do you read eBooks? Endeavour Press have started releasing DES eBooks so fingers crossed they release all the ones I haven't yet read. What is The Scribbler? I'm intrigued. The only magazine of that title I can find is an educational one. I'll email you & ask for more details, Jane. I have been a "lurker" for a while now but this post just made me comment. As a retired librarian with mild OCD my thought is you MUST make it an even number! 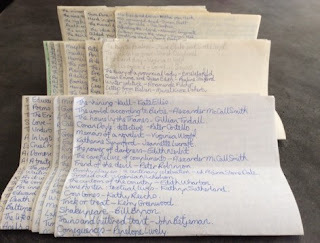 In addition I have kept a list of everything I've read since 1988 on paper but like Audrey I am moving them to an Excel spreadsheet--it is one of my retirement projects. Love your blog and your recommendations!!!!! Thank you Carol, I'm glad you enjoy it. As I mentioned above, the Excel idea is growing on me. Librarians do like to organise & catalogue, don't we? I think I will be writing a confession post sooner rather than later about those last two books. The more I think about it, thge more it bothers me to be so close to the magic 3,000 but not quite there. I've really enjoyed these posts Lyn, especially this part about the reading lists. I haven't kept them myself but I am fascinated by yours. I a off to investigate Greyladies. I love lists & can't resist making them. I love being able to look back & see what i was reading so many years ago. I'm also very tempted by the spreadsheet idea but it would take a very long time to add all those books. I'd like to know the final total though. This was the year in which I started a reading list, but didn't think about doing it until March. 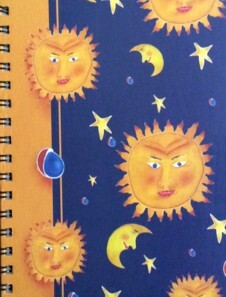 I think I shall continue with it, it is good to have it written down where I know I can find it. I hope you do continue with the list, it's great to be able to look back & remember what you've read. The list is great, I really enjoy looking back at them. I'm pleased that I've lasted almost six weeks without buying a book although i have had a slight lapse that I'll confess to soon. I've started buying Christmas & birthday presents (6 family & friend birthdays in January) & I'm buying books for some of those so I can still buy books & feel virtuous.